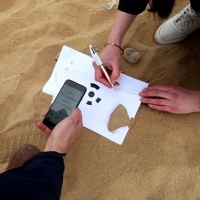 A new research project by Thomas.Matthews and students from the RCA is aiming to “continue the conversation” about sustainability in the publishing industry. 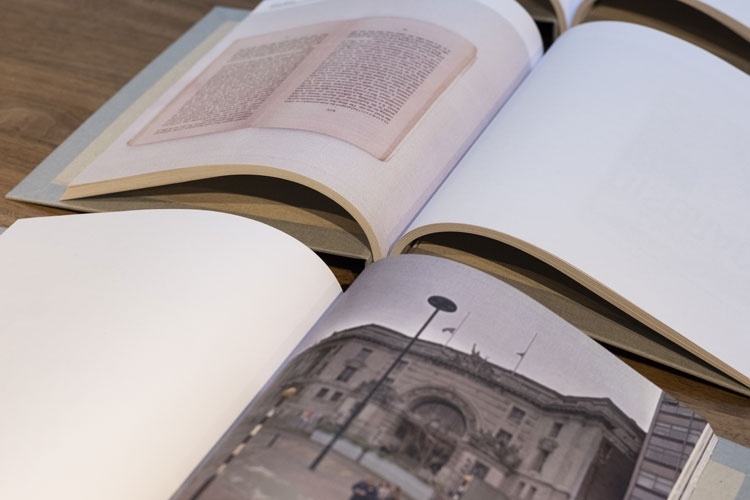 A group of students from the Royal College of Art (RCA) has collaborated with Thomas.Matthews on a book and exhibition that explore sustainable design solutions in the publishing industry. 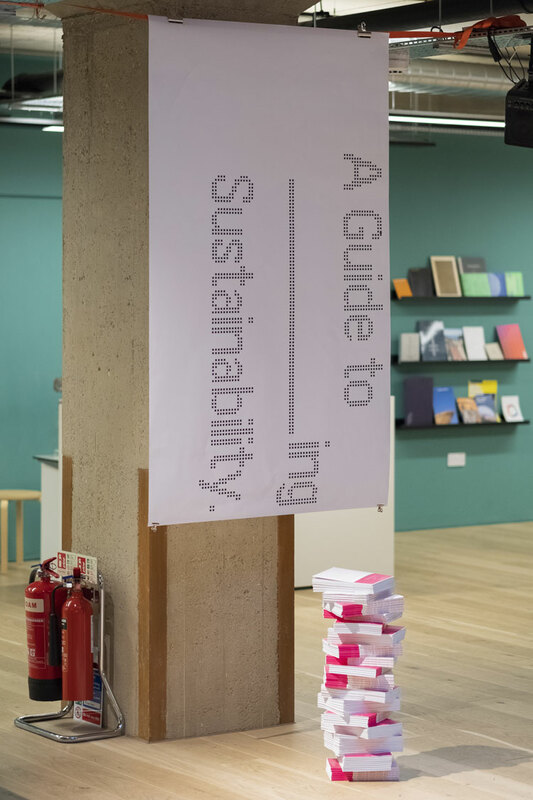 A Guide to ______ing Sustainability has been created by the RCA’s Book Test Unit, a group of MRes Communication Design and MA Visual Communication students that focus on the future of publishing, who worked in collaboration with the studio. The group also worked with printing company Pure Print, and the paper used for the book has been donated by paper company Antalis France. Responsible design is not a subject that is new to the Thomas.Matthews’ founder Sophie Thomas, who curated an exhibition in 2015 called Never Turn Your Back on the Ocean, which was based on her visit to the Great Pacific Garbage Patch – a mass of unbiodegradable rubbish in the ocean. 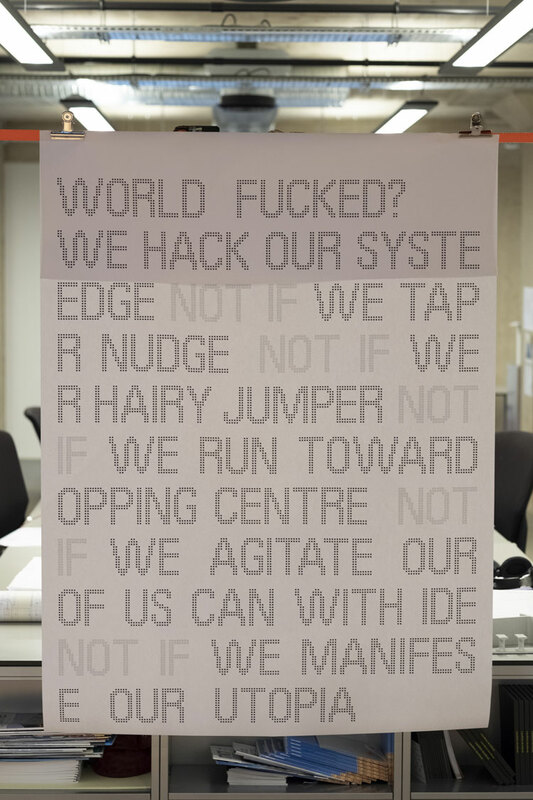 The designer also worked as the Royal Society of Art’s (RSA) director of circular economy between 2015 and 2016. 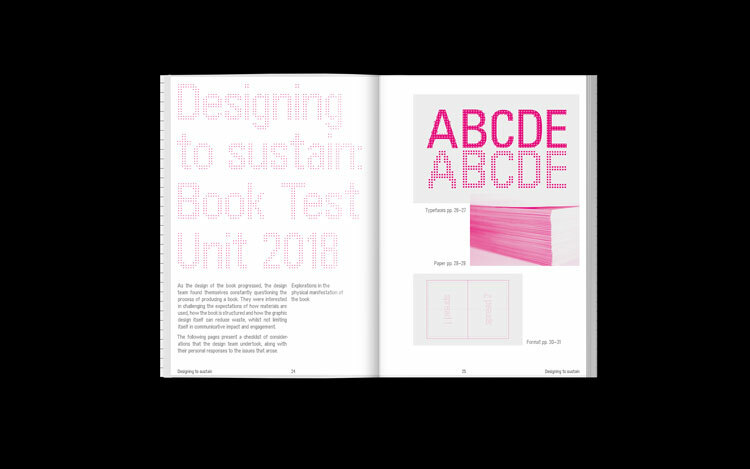 Thomas.Matthews’ latest project with the Book Test Unit looks to “continue the conversation”, says visual communication MA student James Etherington, with the book itself acting as an example of sustainable design. 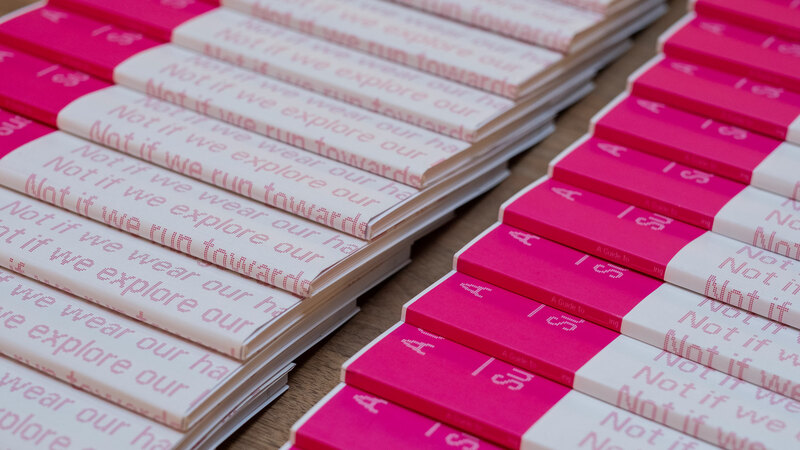 “The design of the book has been informed by an ongoing conversation with Pureprint, making incremental savings in material, ink usage and energy consumption throughout the design and production process,” Etherington adds. 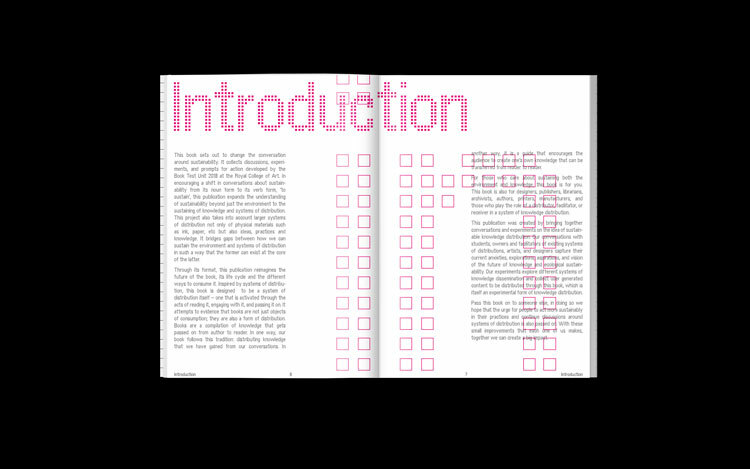 The book features a bespoke typeface inspired by the design language of early computer graphics, and reimagined to use as little ink as possible during printing. 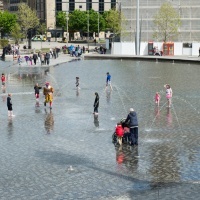 The design process is presented within the book in the form of a “checklist”, which highlights how “small sustainable improvements are achievable within everyday commercial design practice,” says Thomas. 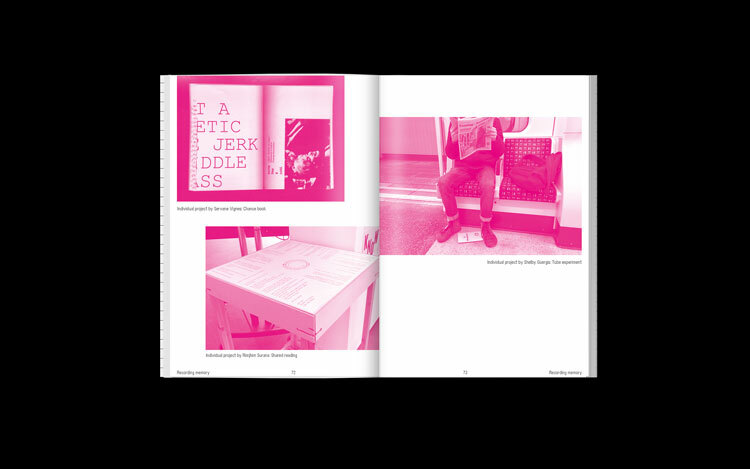 The book also features a collection of discussions and calls to action, such as a manifesto that was conceived during a recent talk by Thomas at St Bride’s Library and honed by Pentagram partner Naresh Ramchandani in collaboration with the students. A Guide to ______ing Sustainability is part of a year-long series of events and activities from Thomas.Matthews.